Historic finds prove than humans crossed the Alps 5,000 years ago. 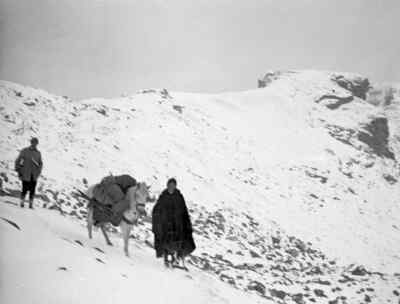 Trade and the search for gold, minerals and new paths from north to south attracted people across the mountain passes. Legends and myths surrounded the heights populated ghosts and witches. One was well advised to beg the gods for a safe journey. The beginning of the Enlightenment in the 18th century replaced fear with curiosity: researchers and natural scientists alike now wanted to discover, measure and understand this unknown world. 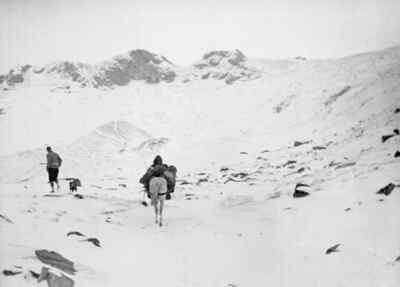 Lacking maps, marked rope routes, protective huts, suitable equipment or even experienced mountain guides, bold men and women embarked set out to the mountains. They were eventually followed by alpinists. The driving factor behind the newly awakened natural study interest wasn’t just the European dynasties, but also the high clergy, which had the appropriate education and sufficient financial means. 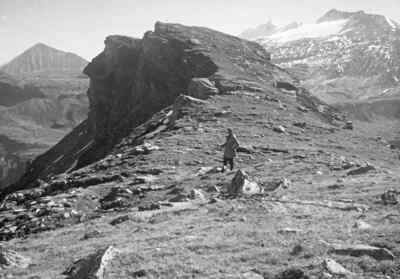 It hardly comes as a surprise that the Carinthian archbishop Franz Xaver Graf von Salm-Reifferscheid tackled the first ascent of the Grossglockner. 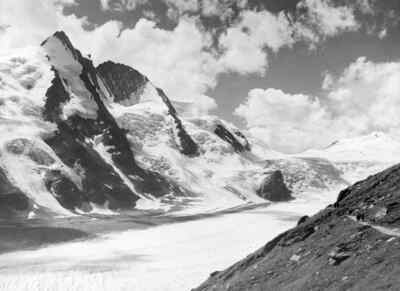 The construction of the Salmhütte at an altitude of 2,644 m as a base was an important step for the gradual ascent. 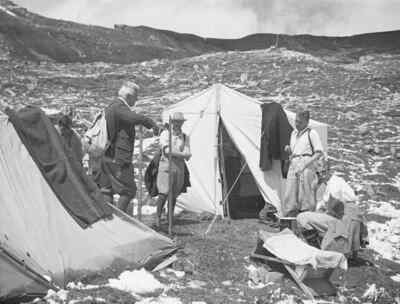 After the first expedition had failed due to heavy snowfall, the second attempt proved successful. Five mountaineers reached the summit of the Grossglockner via the Adlersruhe on 28 July 1800 and planted a summit cross. 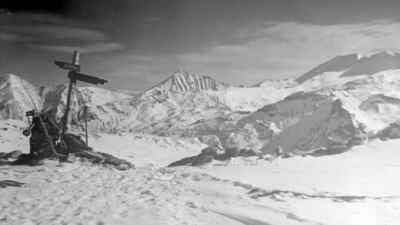 The first ascent in winter came as late as 1953. Archbishop Graf von Salm-Reifferscheid celebrated the conquering of the Glockner summit with the expedition participants with a truly royal meal at the hut in the Laitertal. The benefits for science was another cause for celebration. The summit was measured geographically and in height resulting in a deviation of a few metres since the Adriatic Sea didn’t have a zero-point. Serial tests with snowmelts, boiling points of the water, air humidity, and pulse and breath rates provided new findings. A barometer was placed next to the summit cross, which provided data for the next 52 years. 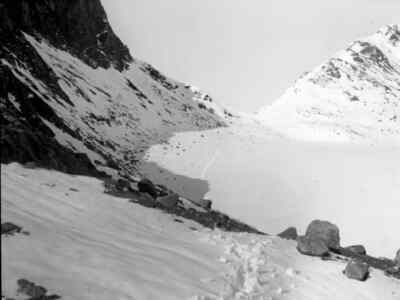 The total costs of the first ascent of Austria’s highest mountain may have amounted to at least 50,000 Euros. Gradually, the sporting challenged joined the natural scientific interest in the spotlight. Furthermore, the romantic mountains proved to have an alluring effect on countless townspeople. The construction of the Glocknerhaus by the Alpine Club greatly shortened the ascent to the summit. Alternative summit ascent routes were sought out. Margrave Alfred Pallavicini ascended the ice gorge named after him from the Pasterze. When he tried to ascend the Glocknerwand in June 1886, he tragically lost his life. Emperor Franz Josef tarried in Heiligenblut in 1856. He hiked up to a lift above the Pasterze, which bears his name today. Empress Elisabeth was content with riding to the Elisabethruhe named after her. 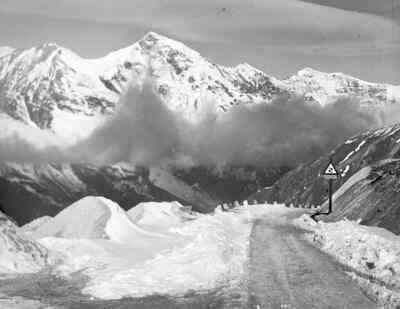 Interest in the Grossglockner consistently grew after its first ascent and the conquest of further important alpine summits in Europe. The Erste Ostalpine Bergführerverein (Eng. “First Mountain Guide Association of the Eastern Alps”) was founded in 1869; Heiligenblut’s mountain guide association followed a year later. 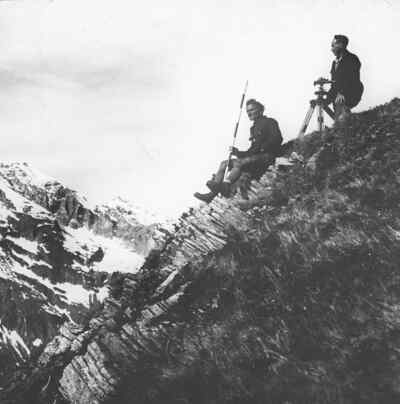 There was already a mountain guide bureau in Kals in Eastern Tyrol in 1877. To this day, the route from Kals via the Stüdlhütte up to the Adlersruhe is the easiest and most used. The 3,444 m Adlersruhe, where the Erzherzog-Johann-Hütte is located, is the starting point for Glockner ascents via the Kleinglockner and the Glocknergrat. After a usually short night, the first mountaineers leave before sunrise in order to experience Austria’s highest mountain at first light. Conquer the Grossglockner and the Pasterze without the exertion of a strenuous ascent: drive from Heiligenblut or Fusch-Ferleiten on the Grossglockner High Alpine Road to the Kaiser-Franz-Josefs-Höhe and enjoy a view beyond compare! Find out everything you need to know about road prices, discounts and opening hours here.